A growing number of Washington insiders say they feel "overwhelmed" by too many media options, according to a study by National Journal. WASHINGTON: The ever-multiplying number of media options is stressing out Washington insiders more than when they had fewer choices, according to a study released Wednesday. More than one-quarter (27%) of DC insiders said they feel "overwhelmed by all the media options," a 3% increase from 2012, according to National Journal’s 2015 Washington in the Information Age study, conducted by the publication’s Communications Council. The survey also found a 12% drop in respondents who said the increase in information and media options simplified their jobs because "it’s easier than ever to obtain information, but harder than ever to make sense of it all." That number peaked three years ago when half of respondents said media proliferation made it easier at work. "The current glut of information may actually leave people somewhat paralyzed – lacking confidence in individual sources and information and unable to see a clear link between information and action," the study found. Starting this year, the outlet will release its Washington Insiders study annually versus every few years, said Tim Hartman, National Journal CEO. He noted that stakeholders want its information "almost in real time." 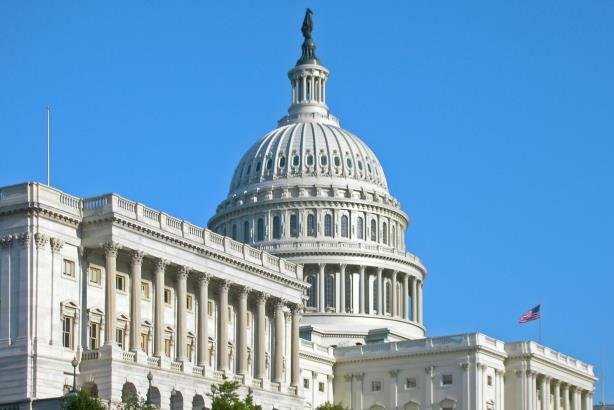 This year, the study included 1,200 online respondents, targeting Capitol Hill staffers, senior-level executives, and private-sector policy professionals. The report also showed that platforms and apps such as BBM, GovLoop, MySpace, and iChat are practically obsolete, swapped for Instagram, Pinterest, Snapchat, Tumblr, Vine, and others. LinkedIn was "the most adopted social media platform" in 2015, according to the study. The social network for professionals "aligns with a focus on the power of networking as a crucial tool among DC insiders in the know," it found. Personal growth "stayed really flat," said Julie Dixon, research director at the National Journal Communications Council. She also pointed out an increase in respondents staying plugged-in throughout the weekend due to fear of missing out. "This flow of information is so constant," she said, noting that many DC residents use their phones from when they wake up to when they fall asleep. Dixon added that organizations that want to reach insiders don’t need to find a silver bullet to "cut through the clutter," but could benefit from using social media where their audience can meet them halfway. She explained that organizations could also benefit by "being resources instead of being informers" by helping readers make sense of the information. What (early) 2016 contender won the week in the media? Your call: With a bunch of new faces in the race, which 2016 candidate won in the media this week? Your call: With Sanders in the race, which 2016 candidate won in the media this week?